Lectors are scheduled at all services throughout the year to read the Old Testament lesson, New Testament lessons, and the Prayers of the People. No experience is required, and there are no age limits. The only requirement is that you be willing and able to read aloud in front of the congregation. Training is available from experienced readers, and the clergy are always willing to help with tricky pronunciations. Readings are sent out by email the week before they are scheduled to be read. The text of the Prayers of the People is available in a notebook in the sacristy on Sunday morning. 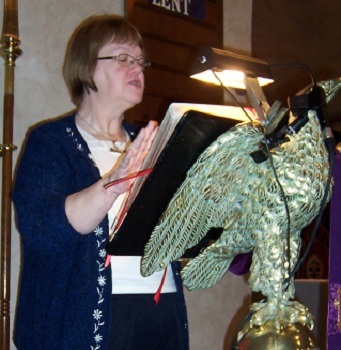 If you are interested in becoming a lector, click here. These persons are trained and licensed by the bishop to assist in the distribution of the Holy Eucharist. Persons called to this ministry must be active members of the congregation and willing to assist at services other than on Sunday morning (e.g. special Christmas or Holy Week services or occasionally a funeral). 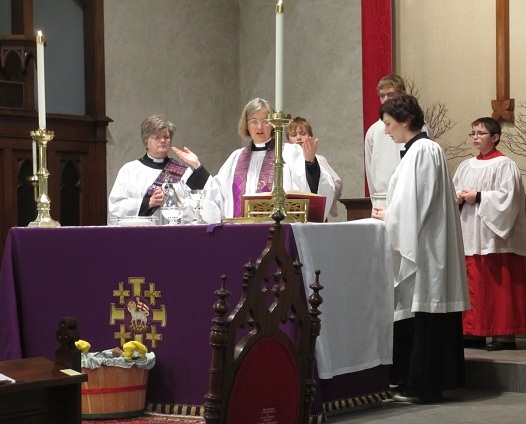 On occasion, lay Eucharistic ministers, take other roles in the liturgy under the direction of the rector. If you are interested in becoming a lay Eucharistic minister, contact the interim rector.